Changing your password regularly is a good practice. And let's be honest, sometimes one changes several passwords at once and then thinks...wait, what was that one again? Well, we've got you covered, whether you remember your current password or not. P.S. 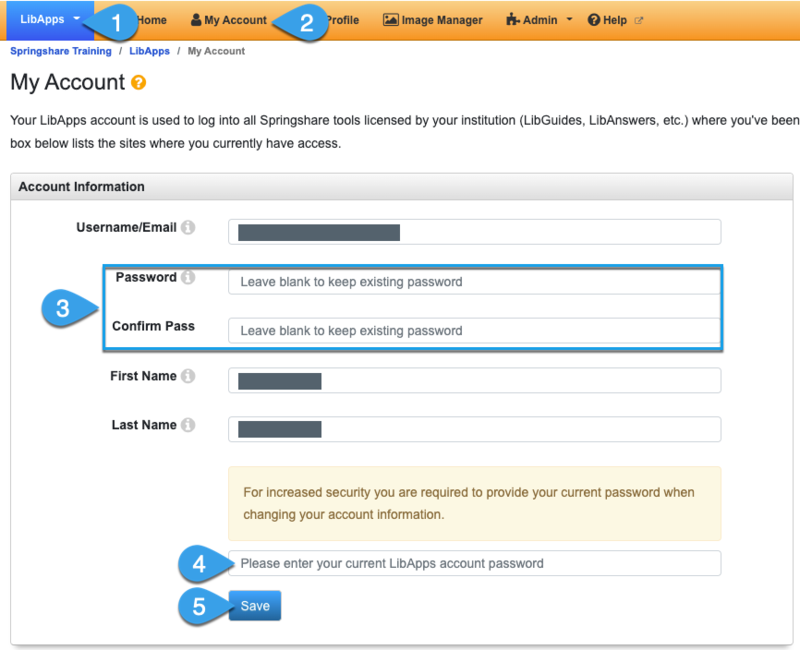 You can also ask a LibApps Admin at your institution to change it for you! They can do so by going to LibApps > Admin > Manage Accounts > edit icon for your account. Enter your new password in both the Password & Confirm Pass fields. contain at least one number or symbol. This is a security measure which authorizes changes to your account, including password changes. 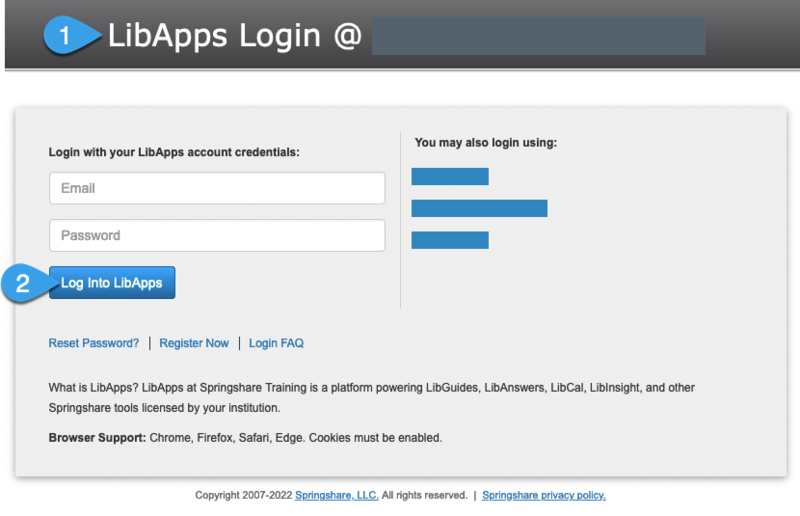 Click the Login to LibApps link at the bottom of any page of any Springshare app. Check the header of the login page to make sure you're logging into your site. 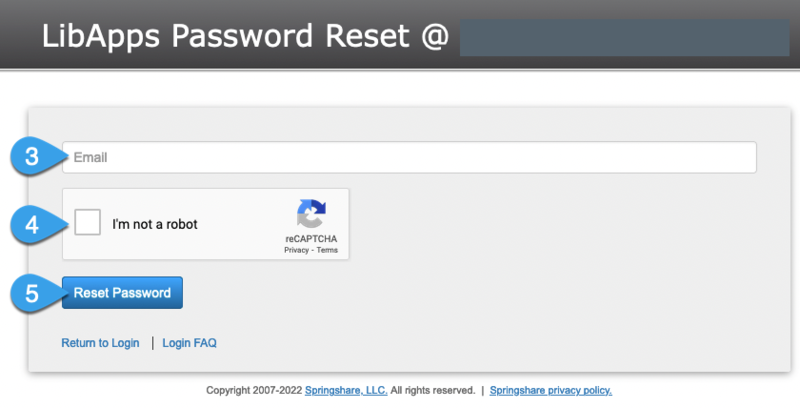 On the login page, click the Reset Password? link just below the "Log Into LibApps" button. Enter the email address you use to log into your Springshare apps & click Reset Password. The email must match an account in the system, otherwise you'll get an error. So if your institution allows for various aliases, please be sure you enter the version of your email address used in the Springshare system. Select the I'm not a robot checkbox to validate the reCAPTCHA.